Harmony ball is a lovely piece of jewelry originating from Bali, Indonesia. It is essentially a chime pendant, so when you move, it emits a soft audible chime that calms and relaxes.Traditionally, harmony balls are worn by pregnant women in Bali and Mexico. Mothers-to-be wear it via a long necklace throughout their pregnancy. 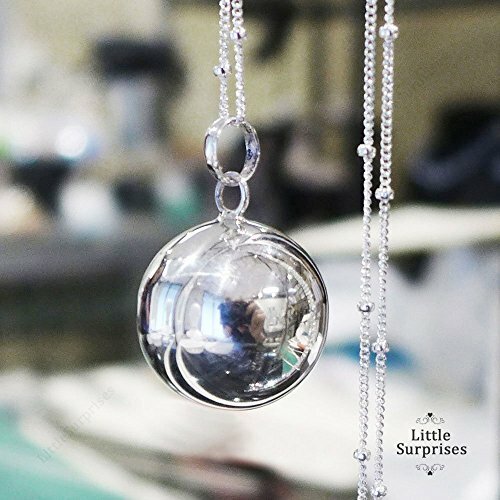 The harmony ball hangs low by the abdomen, and the soft chiming sound is said to soothe the unborn baby and provides calming benefits for the mother to be.Style: Little Stars (AZ68) Size of pendant: 16mm (diameter )Marking: 925 (inside the bail) Material: 925 Sterling Silver Origin: Bali, Indonesia Chain Necklace Style: Satellite ChainLength: 30 inch long Material: 925 sterling silver Clasp: 5mm spring clasp Marking: 925Pendant necklace comes in a cotton filled jewelry box, gift giving ready. 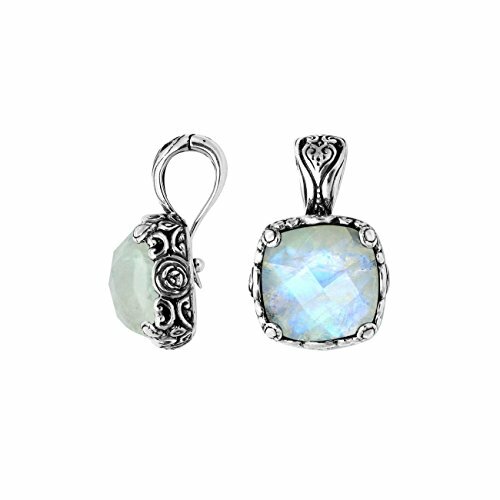 Mother of Pearl Shell Pendant measures 2 1/4 inches long and 1 1/2 inch wide. Beautiful Silver Design Work, and creative carved shell. We have been in business over 20 years. 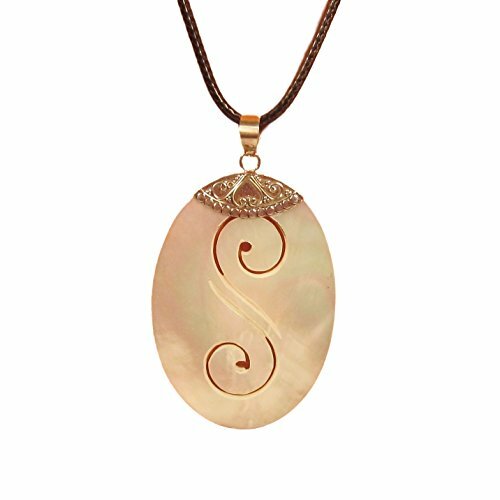 Color and texture may vary due to the natural shell and the handmade nature of this item. Please see our other listings for compatible earrings. 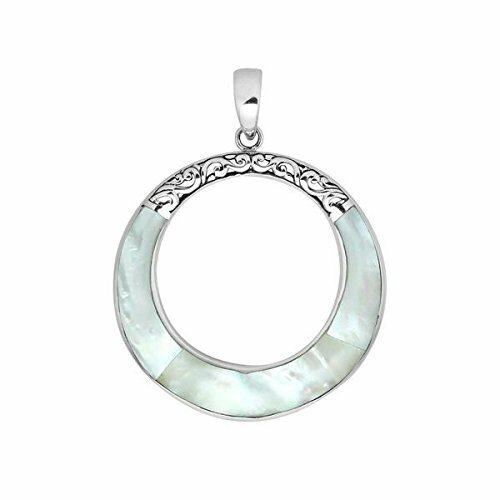 Mother of Pearl Shell Pendant measures 2 1/2 inches round. Very unique silver applique. We have been in business over 20 years. 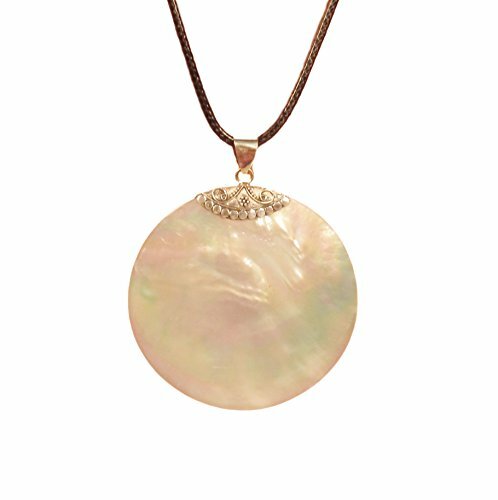 Color and texture may vary due to the natural shell and the handmade nature of this item. Please look at our other listings for compatible earrings. Harmony ball is a lovely piece of jewelry. It is essentially a chime pendant, so when you move, it emits a soft audible chime that soothes the wearer. 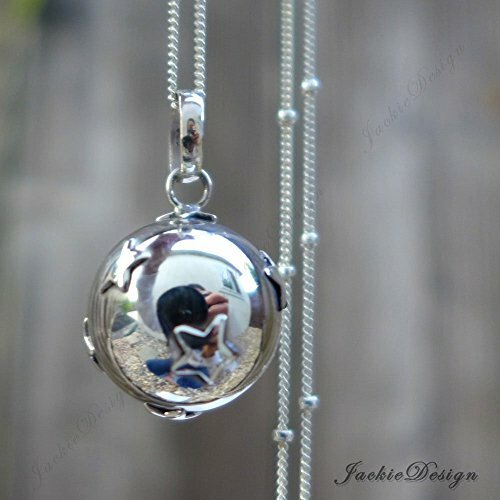 Inside the ball, it works like a tiny metal xylophone, with a little metal ball that bounces around to create the soothing chimes. Each chime ball has its own, individual sound as each one is made by hand. The larger the harmony ball, the louder the sound. Harmony ball is also known as Mexican Bola, Druid Bell, and Angel Caller. Style: Swirls (LS74) Size of pendant: 16mm (diameter )Marking: 925 (inside the bail) Material: 925 Sterling Silver Origin: Bali, Indonesia Chain Necklace Style: Satellite ChainLength: 24 inch long Material: 925 sterling silver Clasp: 5mm spring clasp Marking: 925Pendant necklace comes in a cotton filled jewelry box, gift giving ready. Harmony ball is a lovely piece of jewelry originating from Bali, Indonesia. It is essentially a chime pendant, so when you move, it emits a soft audible chime that calms and relaxes.Traditionally, harmony balls are worn by pregnant women in Bali and Mexico. Mothers-to-be wear it via a long necklace throughout their pregnancy. 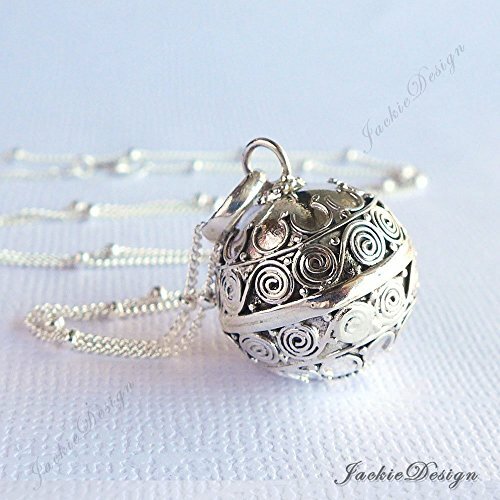 The harmony ball hangs low by the abdomen, and the soft chiming sound is said to soothe the unborn baby and provides calming benefits for the mother to be.Style: Hearts (AZ80) Size of pendant: 16mm (diameter )Marking: 925 (inside the bail) Material: 925 Sterling Silver Origin: Bali, Indonesia Chain Necklace Style: Satellite ChainLength: 24 inch long Material: 925 sterling silver Clasp: 5mm spring clasp Marking: 925Pendant necklace comes in a cotton filled jewelry box, gift giving ready. Harmony ball is a lovely piece of jewelry originating from Bali, Indonesia. 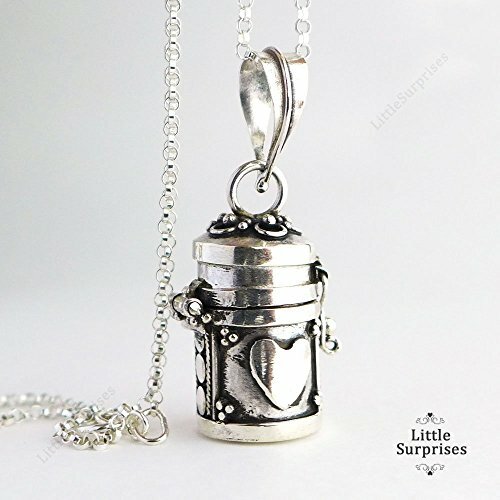 It is essentially a chime pendant, so when you move, it emits a soft audible chime that calms and relaxes. Traditionally, harmony balls are worn by pregnant women in Bali and Mexico. Mothers-to-be wear it via a long necklace throughout their pregnancy. The harmony ball hangs low by the abdomen, and the soft chiming sound is said to soothe the unborn baby and provides calming benefits for the mother to be. 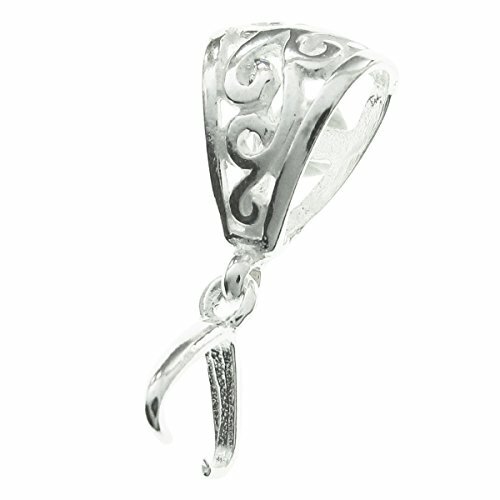 Style: Plain High Polished (AZ71) Size of pendant: 20mm (diameter ), 925 hallmarked inside the bail. Material: 925 Sterling Silver Origin: Bali, Indonesia Chain Necklace Style: Satellite Chain Length: 30 inch long Material: 925 sterling silver Clasp: 5mm spring clasp Marking: 925 Gift Box Included. 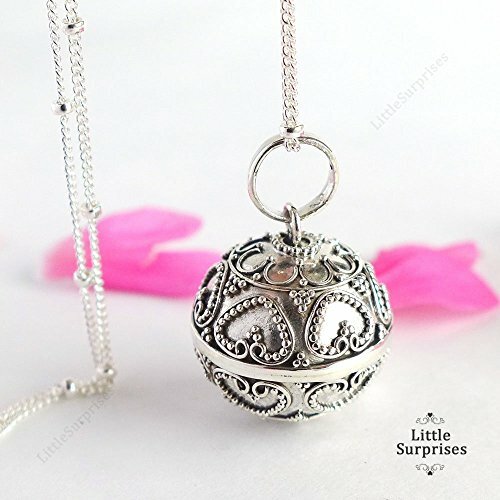 Compare prices on Bali Sterling Silver Pendant at ShopPlanetUp.com – use promo codes and coupons for best offers and deals. We work hard to get you amazing deals and collect all available offers online and represent it in one place for the customers. Now our visitors can leverage benefits of big brands and heavy discounts available for that day and for famous brands.